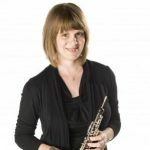 Flutist/ piccoloist Deena Reedy holds a Doctor of Musical Arts degree from the University of Nebraska-Lincoln, as well as performance degrees from East Carolina and Bowling Green State Universities. Dr. Reedy has performed as a soloist with orchestras in Nebraska, North Carolina and Arizona. 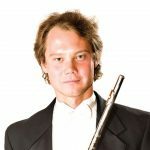 Other performance honors include winning the Hampton Roads, Virginia Flute Fair Competition, being featured in radio broadcasts on KUCV in Lincoln, Nebraska, WTEB in New Bern, North Carolina and KUAT in Tucson, Arizona and participating in recitals in Austria, Canada and throughout the United States. Dr. Reedy currently teaches flute at the Arizona Music and Dance Academy and previously worked as a Teaching Artist in the Opening Minds through the Arts program in the Tucson Unified School District for 10 years. She has also taught flute at Bradley University in Peoria, Illinois and Schoolcraft College in Livonia, Michigan. Dr. Reedy has presented and performed at national conventions in California, Minnesota, Nevada, New Mexico and Texas. She has performed with a number of ensembles, including the Tucson Symphony Orchestra, Farmington Area Philharmonic, True Concord and Tucson Pops Orchestra, is a frequent chamber musician, performing for six years with the Paloma Winds Quintet and has released two CDs.